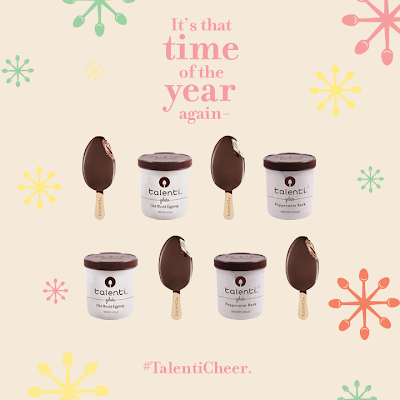 Have y'all tasted Talenti gelato? It is hands down my favorite brand. Seriously THE best flavors. Actually, the raspberry sorbet is my very favorite. I can't even begin to explain how amazing it is. For fellow fans, just a head's up that they have a contest running on Facebook right now to win a year's supply of gelato. I've already entered ... and am fully intending on winning. Ha. But you know, feel free to enter yourself, too. I will say that they do post coupons from time to time via Facebook, so it's worth it to like them even if you don't win. The Caramel Cookie Crunch is my hands down favorite! sea salt caramel(or whatever the exact name is). The cupcake fam, including the dog who gets dish every night, love it. Oh yes... I get so excited when Publix has them BOGO.